Shout out to The Shoals. As an expatriate Southerner, I am amused and delighted to visit the South. I am amused because as a girl growing up on the beaches of Florida, I could hardly wait to get out of town. It was such a boring place in my teenage mind! Sometimes we have to search far and away to find what we are looking for even it is down the street in our hometown. I am delighted because I love the people and the manners. When I boarded Delta last spring hoping to arrive before my brother’s death I was upset. The flight attendant took one look at me, put her arms around me and within a moment, I was home. 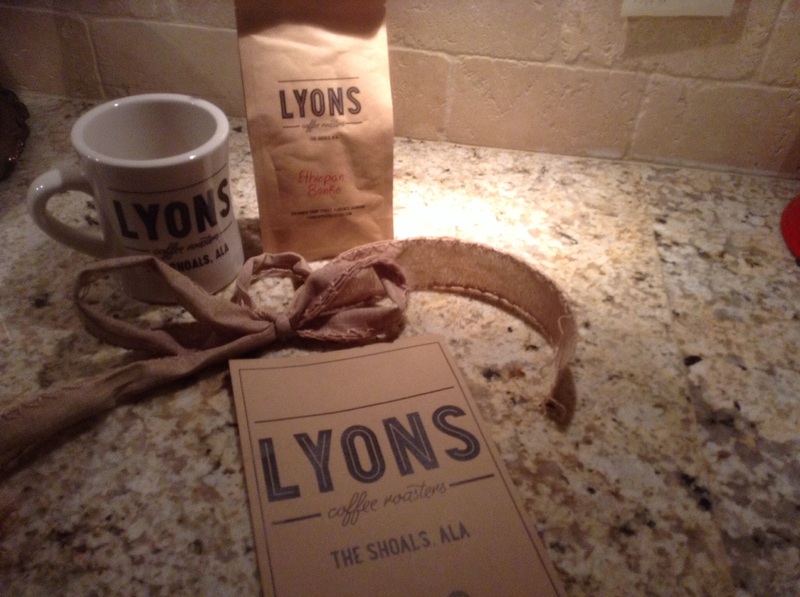 I had that same familiar feeling of being home this morning as I sipped coffee in a mug from Lyons Coffee Roasters in The Shoals, Alabama. In Portland we take our coffee seriously and insist that our roasters are the best. I have to say that this cup of Ethiopian Banko from Lyons Coffee Roasters is really good. Drinking the coffee made me think of my son and his wife who moved to Alabama a couple of years ago. 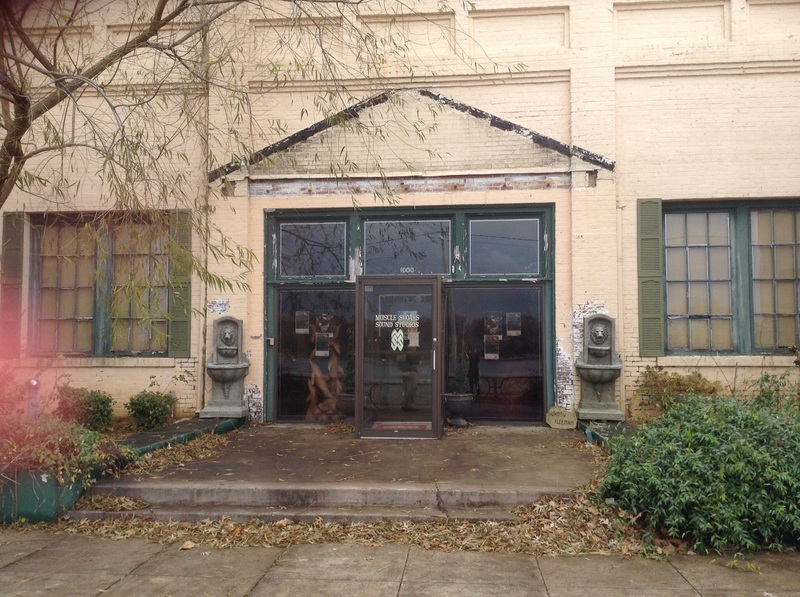 I had never heard of The Shoals until I saw the wonderful documentary “Muscle Shoals”. “Tuneful documentary chronicles the musical legacy of Muscle Shoals, Ala. home of Fame Studios where top musicians have flocked for decades.” on Netflix. In a few weeks, I will be there to spend time with them, see their new home and enjoy the area. I will probably do some more shopping at Billy Reid where I found a great jacket on my first visit. This cup of coffee from Muscle Shoals is my version of Proust’s madeleine evoking sweet thoughts and increasing my anticipation for the trip. Posted on February 10, 2016 February 16, 2016 by lorigreerPosted in Blogging 101, Living Everyday, UncategorizedTagged Delta, Fame Studio, Going Home, lifestyle, Lyons Coffee Roasters, Southerner, The Swampers, travel. Thank you Lorigreer for sharing your love beauty and simplicity. It is a great pleasure to have you as a follower. You remind us all, that life is best at its simplest. Thank you for your kind words! It is a joy to follow your blog. I totally get that feeling. I’m from NH and the other day I had to call a company that happened to be located there. The instant the familiar accent answered the phone I felt swept away…peaceful and at home. I told her that I was born and raised there and hearing her speak was like a hug. 🙂 I hope you have a wonderful time! I’ve always kicked myself in the arse for not driving over to Muscle Shoals the time I stayed in Huntsville for a few days. Hopefully you’ll be in the area again one day. In addition to all the music the countryside is beautiful. Thanks for reading my blog. I’ll be back, I get to the Nati a few times a year although not nearly excited about the Reds this year :(. I’m so sorry for the loss of your brother. This visit must be bringing up some bittersweet memories for you. I hope more sweet. Today especially, may you have an abundance of grace and peace flood your heart. God bless you. Thank you for your kind thoughts. My brother’s death was hard but going there helps me to gain closure.